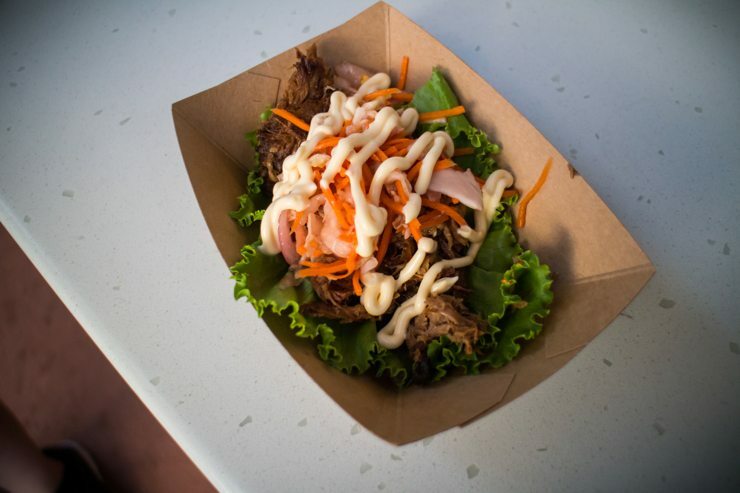 The Epcot Food and Wine Festival has sadly come to a close. While I think I’m still full from my culinary trip around the world, it’s not too early to reminisce on the best that the festival had to offer and look forward to next year. Pretty much everything I tried this year was seriously delicious, so it was quite the task to narrow down a list to just the five most outstanding dishes. 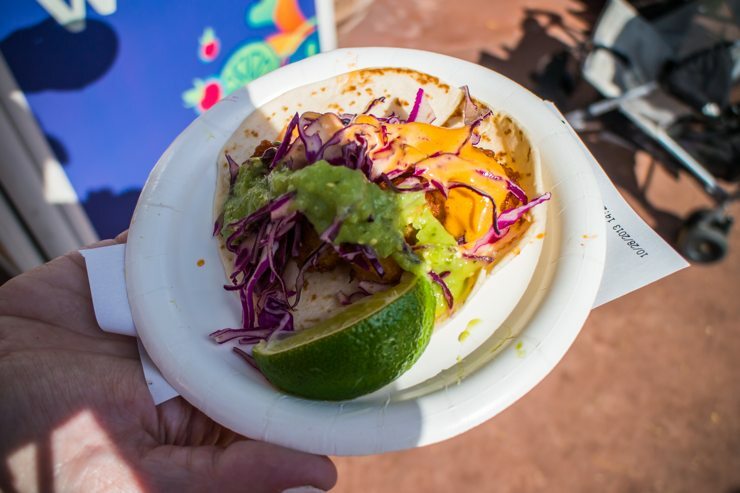 Read on to find out my five favorite dishes from this year’s festival. This generous offering of cheese ravioli with beef bolognese sauce makes the list for the value alone. 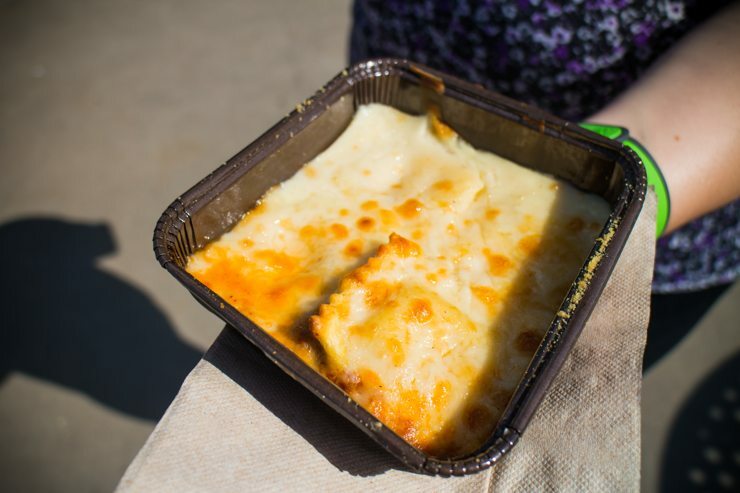 The four ravioli filled with gooey delicious parmesan and mozzarella cheese is easily enough for two to share, but it’s so good that it won’t last very long. The fact that the tables near Italy’s food booth provided some of my favorite views of the World Showcase lagoon is just an added bonus. The Mongolian Beef from China’s marketplace was the biggest surprise for me this year. I’m a big fan of mongolian beef, and this may be the best I’ve ever had. The bun was perfectly soft, and the wontons added a crunchy element that made me want to go back for more. I’m a big fan of spicy food that isn’t too spicy, and this offering struck that perfect balance. The sauce was tangy, tasty, and with just enough of a kick to excite your taste buds without burning them off. Really hope this returns at next year’s Food and Wine Festival. A perrenial favorite, the grilled lamb chop from Australia is one of the tastiest things I had while eating around the world. 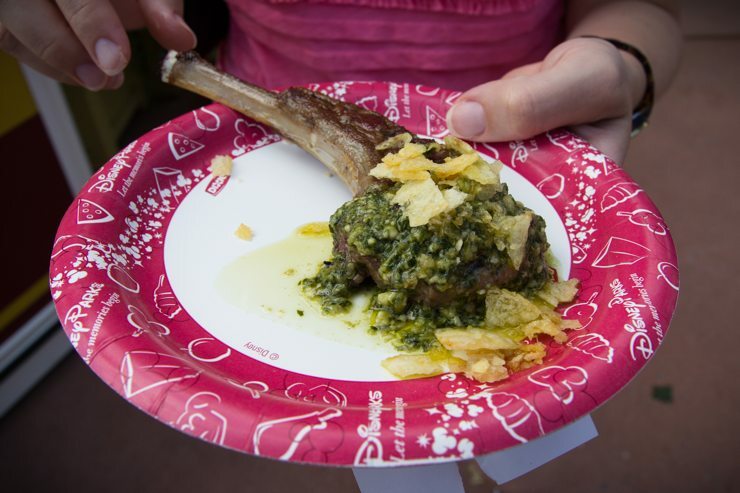 With a mint pesto sauce, this chop has a distinct flavor that I make of point of trying each year I visit the Epcot Food and Wine Festival. The potato chips on top take this dish to the next level. It would be higher on the list if it weren’t for a little bit incosistency in the chops served up. Sometimes they would be a little too small or a bit overcooked. But that wouldn’t stop it from being one of my favorite dishes this year. The other surprise dish for me this year was the Lettuce Wrap from South Korea. Inside this lettuce wrap was tender pulled pork, which was among the best tasting things I had in all of my trip to Disney World. On top was kimchi slaw and aoili that perfectly complimented the pulled pork and provided a unique and delicious flavor. My only complaint would be that it was a bit difficult to actually eat this as a lettuce wrap. I had to eat it with a fork instead. 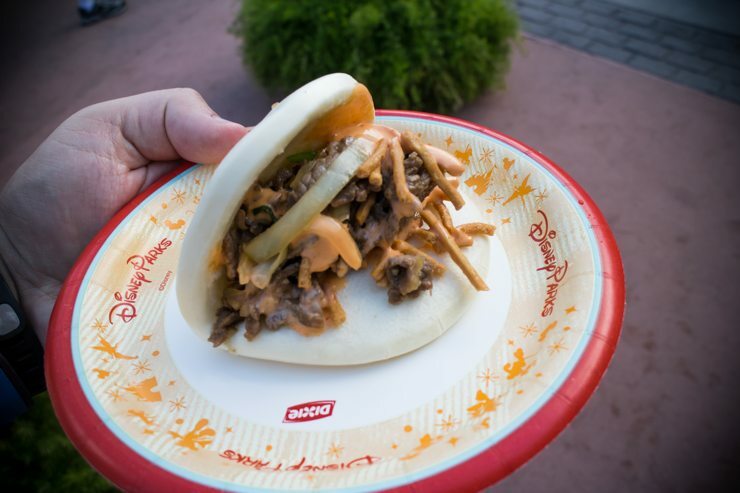 While everything I had at this year’s Epcot Food and Wine Festival was down right delightful, there was one dish that I kept going back for again and again. The Shrimp Taco from Mexico featured perfectly fried and absolutely delicious shrimp, which was the real star of this dish. Add on delectable salsa and chipotle mayo that’s downright addictive and this taco really shines. I’m sad that I won’t be able to taste this again until next year. However, I might try to make my own version of this at home. What do you think? Anything not on this list that should have made it? Let me know on Twitter or Facebook, or email me at jamesg@guide2wdw.com.